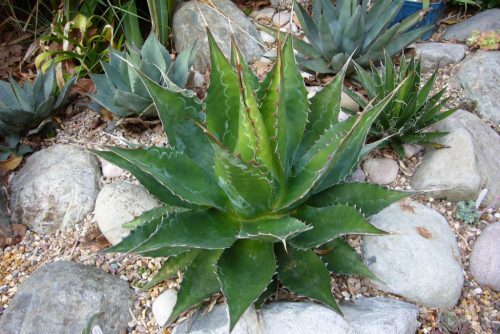 Agave Montana is a particularly handsome Agave with a very symmetrical rosette of dark green leaves usually covered with a pale frosting of whitish bloom and carrying on their lower surfaces the distinct impressions of the thorny leaf margins of the previous outer leaf-bud. 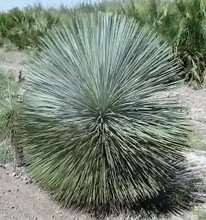 Dasylirion quadrangulatum is the correct name for a plant long known as Dasylirion longissimum. 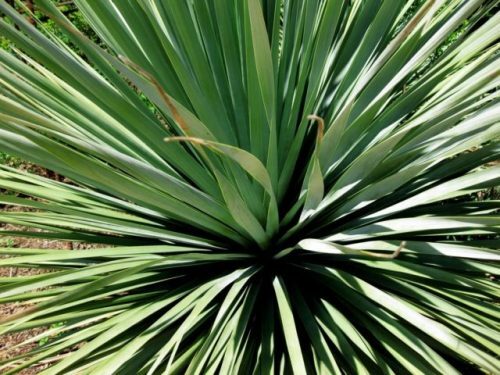 It is a succulent plant related to Yucca and Agave that slowly grows a thick, beautifully scarred trunk from which erupts a tufted head of narrow, rigid, 4-angled green leaves, each with a slightly withered tip, reminiscent of a fibre-optic lamp. 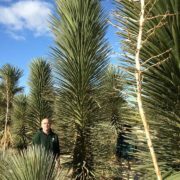 The rare and highly sought after Dasylirion longissimum, very hardy and very beautiful. Dasylirion serratifolium is a species of Sotol from southern Mexico. However, in cultivation it is more of a 'catch-all' name for a mixed group of hybrids that have green leaves with toothed margins and terminal tufts. 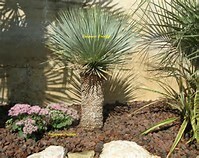 For all practical purposes this is unimportant to anyone other than a dasylirion specialist - in the garden they make a stunning focal point for the arid border along with Yucca, Nolina, Agave and Chamaerops with their fine-leafed 'fibre-optic lamp' appearance that contrasts well with other spiky plants. Alternatively their shape is perfect for pot culture, when they can be taken under glass for winter. A hardy and relatively fast growing dasylirion that seems to be one of the better ones for the UK. 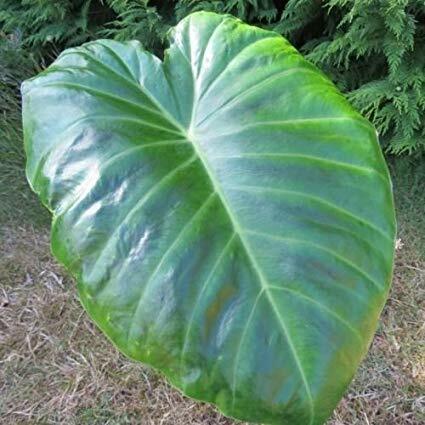 The plant will give you the tropical look in your garden with the large evergreen paddle shaped leaves and is happy to be positioned in full sun and more exposed sites. 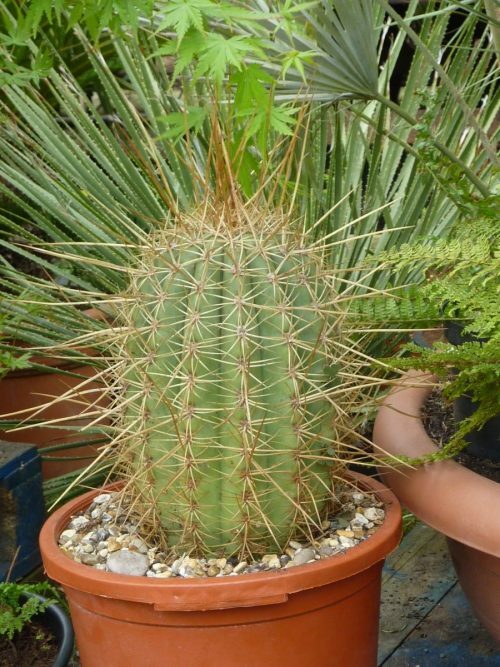 Terscheckii is possibly the hardiest of the columnar growing cacti and is most suited for our climate as it is tolerant to moisture. Can withstand temperature to -10 or lower for short periods. 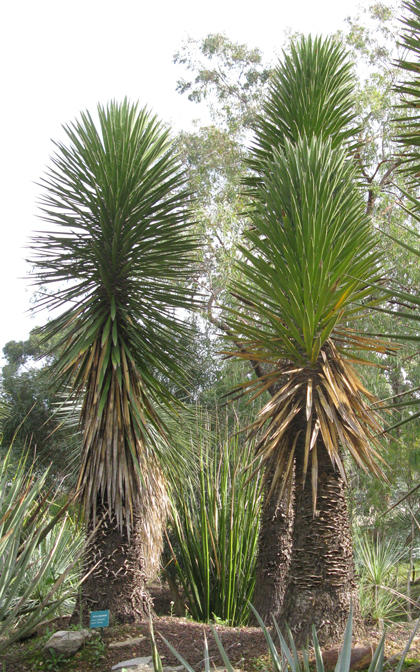 Yucca decipiens produces when young a sturdy solitary trunk with a dense crown of very stiff dull green leaves. 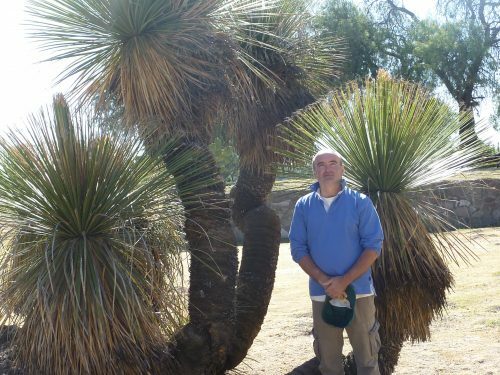 Older Yuccas are branching profusely to form a large multi headed specimen. 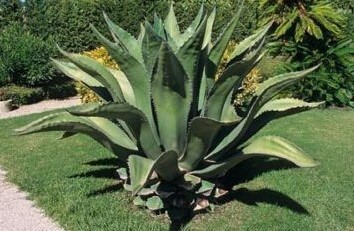 It can survive drought and severe freezes Price £44.95 upwards depending upon size. 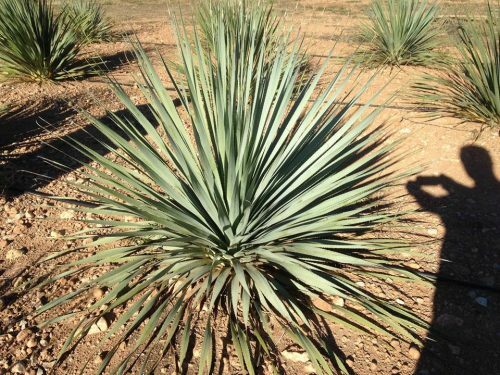 Yucca filifera is frost hardy to minus 8 , and is not suited for all parts of our Country. 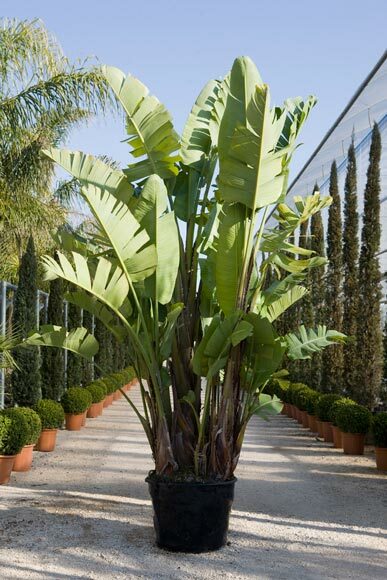 Filifera is an outstanding architectural plant and a ‘wow’ factor in the right setting. 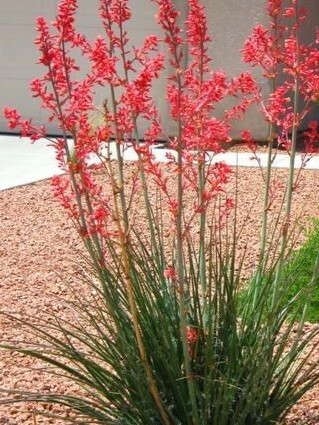 Yucca linearifolia ‘blue form’, also called Y.linearis. 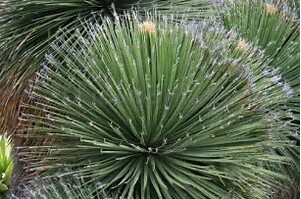 It has flexible, short green leaves up to 30-50 cm long, forming a perfectly spherical head. If through circumstances the base of the trunk is rotten, it can be cut off and the plant will make new roots via de outer trunk layer. Another remarkable quality is that if the crown is rotten you can treat it for mould and this plant will make new crowns. This plant can withstand temperatures down to -15 degrees Celsius.